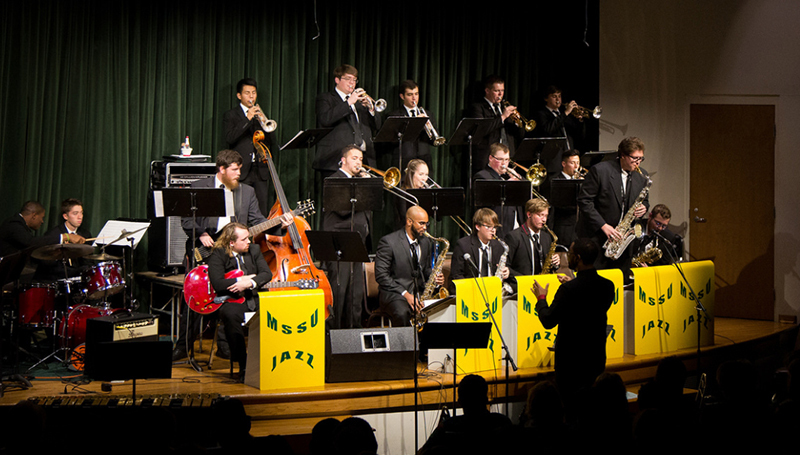 The Missouri Southern Jazz Orchestra will perform at 7:30 p.m. Monday, Dec. 4, in Webster Hall’s Corley Auditorium at Missouri Southern State University. The group, under the direction of Freddie Green, will present their “Swingin’ Holiday Show.” Admission is free and open to the public. The Southern Jazz Orchestra has been invited to perform at the Jazz Educators Network international conference in Dallas, Texas, in January.